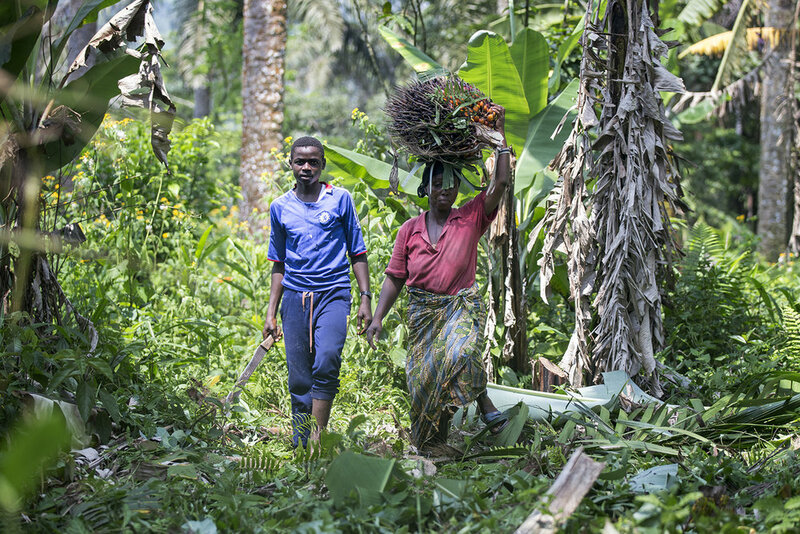 The people of the Manguredjipa region in North-Kivu call the professionalisation of their palm oil industry a revolution. For decades they have made use of the numerous palm trees growing in the wild. But the exploitation and organisation of their activities was amateurish. What began as a project of the Centre d’Animation pour la Culture et le Développement de Kirumba (CACUDEKI) to help the palm oil farmers in generating a higher income, grew to entail much more. Today the project involves the whole community and has the potential to lift the region out of poverty. Kyabusike Kisatu, a widow and palm oil farmer with 35 hectares of land, was approached by CACUDEKI in 2012. Her plantation serves as a test case for the professionalisation of the palm oil industry CACUDEKI envisions. Three years later this test case is considered a great success from which many other farmers in the area benefit. The trainings from CACUDEKI help other plantations in the area to professionalise their business too. 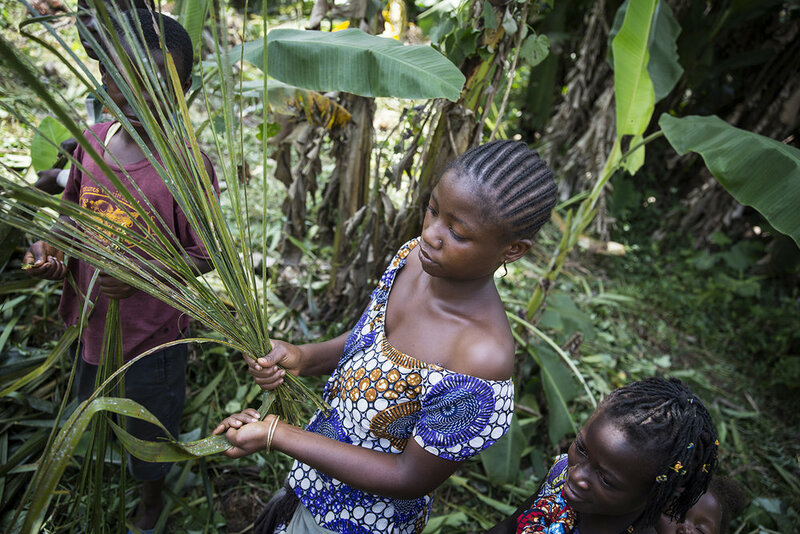 François d'Asssise, CACUDEKI’s coordinator, explains: "Before farmers didn’t know better than palm trees growing in the wild. They were unaware of the fact that to produce palm oil in a sustainable manner, maintaining the trees is essential. That and old tree means lower palm oil quality. Therefor we teach them the importance of planting new trees according to the latest farming techniques. Planning ahead and making the necessary investments is crucial because it takes up to five years before a tree has grown to the point one can harvest." Until CACUDEKI intervened, the buyers from the city of Butembe determined the price of the palm oil. But their price this did not cover the costs and discouraged the farmers. CACUDEKI decided to assist them in the formation of cooperatives with the goal to strengthen the farmers’ market position. And CACUDEKI did more than just uniting them. "Most of them could not read or write or make simple calculations, let alone how to manage a cooperative. We therefore also started providing members with the proper training and education," says François d'Asssise. Furthermore, the farmers were unaware of the additional benefits of the trees. The palm oil nuts for example were merely seen as a waste product and thus thrown away or burned. Whilst in fact, they can be used as a raw material for the production of soap. An awareness campaign was set up. Masika Takia, director of a primary school in Byambwe, called the palm oil nut a miracle and explains the impact on the community: "When we heard that palm oil nuts are in fact not useless and worth money, we asked the parents to consent their children collecting them after school. When we have a fair amount in stock, we call CACUDEKI. They buy them per kilo and with the money we refurbish the school. So far, we already have been able to build a new roof and two new classrooms!" 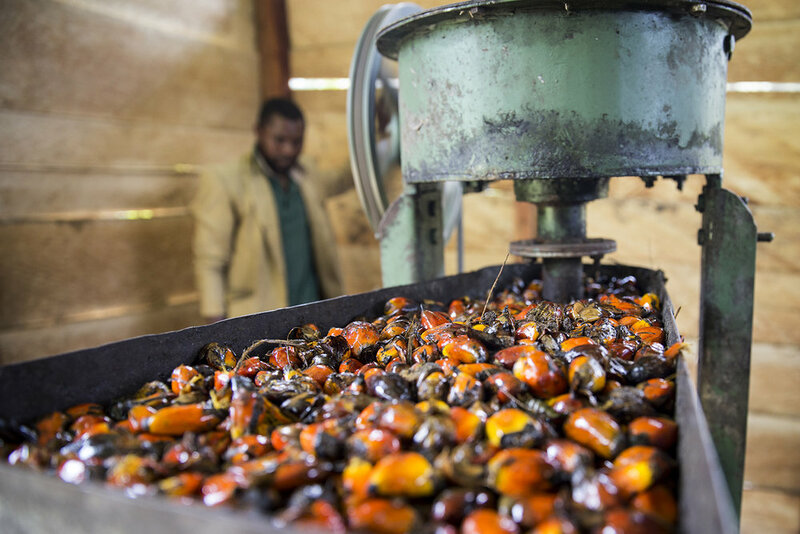 The palm oil revolution benefits the whole community. “The parents are required to pay an annual school building contribution of CF 6000, - (€ 6, -) per child”, says Takia. “An amount not all parents can afford. In results in the school being forced to send children home. Some parents only send some of their children to school. But this year, the money we made with collecting the palm oil nuts was more than enough to maintain the school. There was no need to ask the parents for an annual school building contribution!"